03 Nov Why Do I Need A Wall Unit Built? You’re probably wondering what the purpose of having a wall unit in your home is? Well perhaps the best way to answer that question is one word: storage. Whether it’s in your family room, home office, living-room, hallway or anywhere else in your home, a wall unit’s many shelves, doors and drawers will help organize and hide whatever clutter would be normally visible to the naked eye. This means you’re never doomed to have a room that is messy with clutter or is disorganized. If you have Space Age plan your wall unit layout’s carefully, you can create a large amount of storage that organizes life’s everyday mess. When adding a wall unit or filling in an entire family room with cabinetry, it is necessary to keep in mind how it will work within your home. A wall unit is not only practical for many reasons but also helps with the possible re-sale of your home increasing its internal “curb-appeal”. Once you have your wall unit in place, to keep that organized or neat look, it is necessary to group like-minded items together. In that regard, you would have all of your CD’s, DVD’s and other media together in one place. Such could be said with games, toys and other paraphernalia that the kids use often. In another vein, creating your own personal library of books or housing that ever-expanding quantity of collectibles, wall units are a great way of organizing and showing them off. 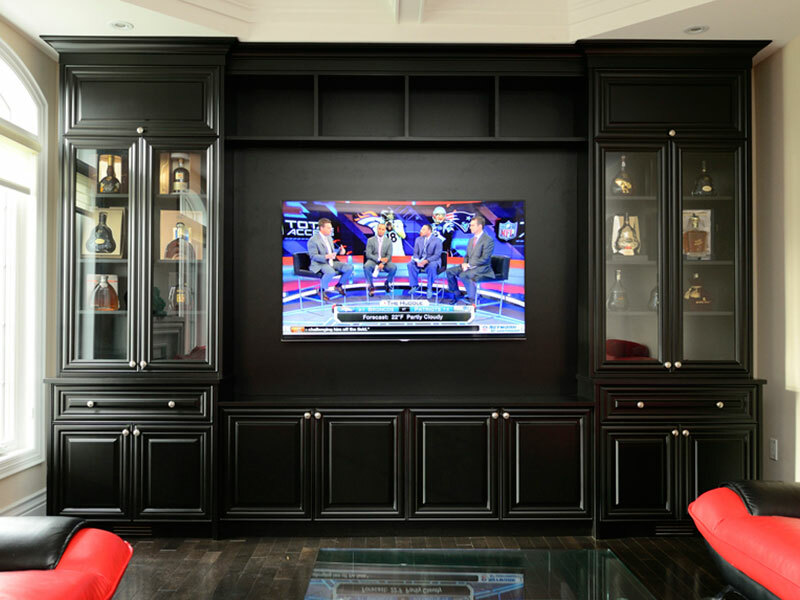 Finally, the most important use for a wall unit or built in, is housing that beautiful entertainment system for the big game or that movie everyone loves. A fireplace can also be incorporated into the wall unit or built in so that on cold winter evenings, you can enjoy snuggling up with loved ones. So when thinking of enhancing the beauty of your home or simply organizing your clutter, remember to call the experts at Space Age Custom Closets and Cabinetry.